Call us at 413-835-0197, or email us with questions or to schedule your free 45-minute consultation! Free 45-minute consultation: Includes a personal in-home meeting to discuss the layout and display of your artwork collection. We can advise you on both aesthetic and conservation questions. Ever wonder if the materials in your frame are archival? Where is the best and safest spot to hang that family heirloom? Love the art and frame but need some advice on a new mat that works better with your decor? Love the idea of having your own salon style gallery wall? We will work with you to design the perfect wall for your unique space! We combine knowledge of art, design, color, and space to expertly advise customers on the best balance and flow for art in the home or workplace. Our design expertise includes utilizing light sources, balancing asymmetrical spaces, and creating a positive mood. We are happy to offer this service free to current and new customers within a 15-mile distance from the shop. Please note that we do not hang artwork without an initial consultation. 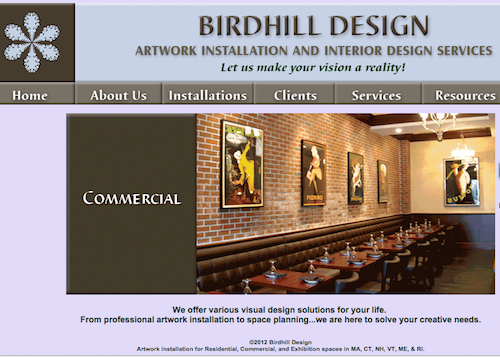 Any additional design and layout time is billed at $60/hour. Professional art installers work with you to safely and beautifully present your art, whether it is in your own home, your place of business, or in a gallery. Turning a work of art into a photographic image is an act of translation. 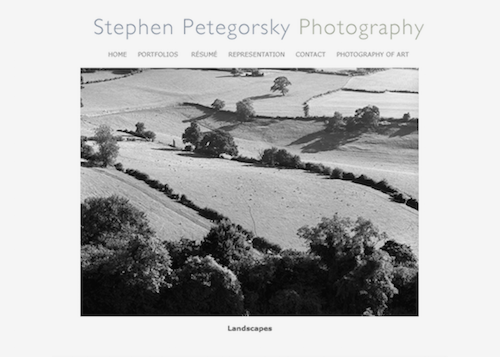 Using state-of-the-art technology a photographer manipulates light and pixels to create a photographic version of the work that honors the original and that conveys its essential qualities. 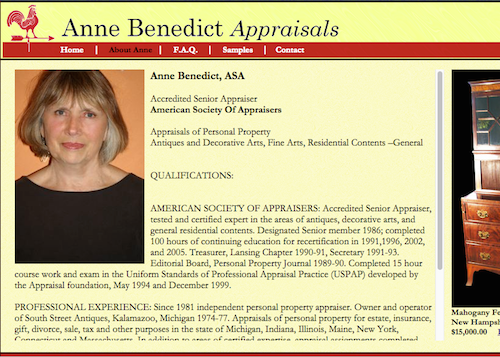 An art appraiser provides expert, independent valuations of your personal property and fine art. Whether your art is destined for the auction or your living-room, an accurate appraisal can protect you financially and give you peace of mind.